Fresh air, lush mountain views with amazing scenery and wildlife – Smith Mountain Lake is one of those places that captures the heart and fires the imagination. Living here, surrounded with such natural beauty, away from the noise and fast-paced lifestyle of the city, truly puts the mind at ease, allowing you to live in a peaceful environment void of distractions, so you can focus on the things that really matter to you. Why Retire at Smith Mountain Lake? Known as Virginia’s most popular lake, the area is a peaceful and picturesque place that a lot of families and retirees have already come to discover. A beautiful rural community with small-town charm and a friendly neighborhood atmosphere, the community has plenty of organizations that active adults can choose to join, from social, sports and the arts to special interest hobbies. Smith Mountain Lake’s natural geographical features means it’s a great place to enjoy a plethora of outdoor recreational activities. With a lake that spans 22,000 acres and stretches up to 40 miles, and a shoreline that extends over 500 miles, there’s so much to see and explore in the area. Visit a vineyard for a wine tasting, attend one of the many festivals or music events; or pick your own strawberries, blueberries or peaches in one of the nearby farms or orchards. Living on a budget in the community is possible, as the cost of living in the area is relatively lower. Smith Mountain Lake belongs to the group of Virginia counties with a lower tax rate, making living here more than financially manageable. When it comes to spending the best of your retirement years, there are plenty of home options for retirees in the Smith Mountain Lake area. There’s also a wide variety of active adult communities available here as well, which are designed towards meeting the specific needs and varied interests of homeowners aged 55 and above. The area is also peppered with beautiful lakefront homes, with prices ranging from $100,000 to $2 million or more. 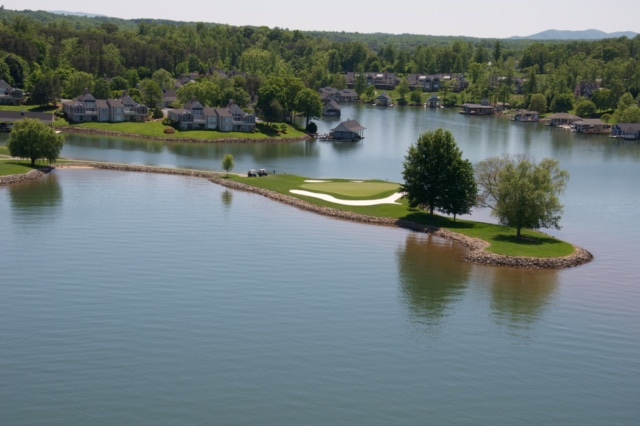 If you’re still in the process of deciding whether to make Smith Mountain Lake your home, you can experience living here first by renting a single-family home or townhome in the area. SML is a vacation hotspot and there are plenty of vacation rentals available here for you to choose from.